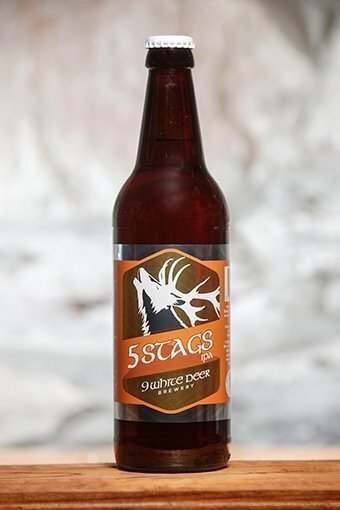 5 Stags is an American style IPA bursting with hops, a sessionable IPA in a form you would expect, masses of floral citrus and passion fruit flavour and aroma. 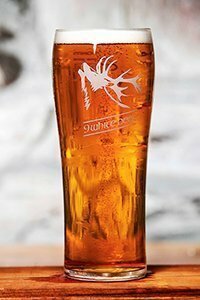 The number 5 because we use 5 types of hops, 5 different malts and it’s 5% abv. The hops are what this is about, Summit and Chinook are the late players giving most of the delicate flavours and aroma with Willamette, Centennial and Cascade giving is a base to jump from. The colour is closer amber than pale, all this hops needs some sweetness to balance it out, we achieve it with the use of a large amount of Munich and light cara malts and of course our own Irish base malt. Uncompromised and unfiltered this is a belter of an IPA with over 60 IBU, we developed a skill in hiding all that bitterness while still enjoying all that hops. Carbonation medium to high, how else can the aroma explode out of the glass. 5 of anything is always better!